Published in Mumbai Mirror as “Don’t Scrap the DP, Seize It” on 22 April 2015. The first draft of the 2014-2034 Development Rules and Plan for Greater Mumbai were published online and in print by the BMC three months ago. Since then, an apparent profusion of errors has proved its undoing – many of which were themselves mis-reported. At first the media exposed some genuine but minor bloopers, which the BMC quickly corrected. But soon news came daily, and in the rush to outdo each other, editors failed to verify the alleged mis-marking of roads proposed through building societies, vanished heritage buildings, and commercial and residential zoning. Reporters did not seem to know that the BMC has limited planning authority in areas under the Collector, MMRDA or MbPT. Headlines were based on misunderstandings of terms like “permissible use”, “public purpose”, and the difference between “R-C” and “C-R”. While technocratic lingo is not easily decoded, the BMC should have intervened more in the media, especially after journalists abandoned their responsibility to check the DP before reporting “errors”. They could have pointed out that many of these roads were already proposed in DP 1991 but never built, that Banganga and GPO were never shown as hospitals, and that Azad Maidan Police Station is indeed inside the Esplanade Court. Instead they issued a gag order to their planners. In the meantime, some Corporators proudly claimed that they opposed the draft DP from the moment it was published by their own agency, the BMC. Our elected representatives should have instead taken part in its preparation from the time they were elected in 2012, when land-use mapping for DP 2034 began. The media and political uproar was welcome in some ways. Until recently, hardly anyone who was not an architect or engineer knew what the DP was. Most citizens will still have not seen their local sheet of DP 1991, by which we may remain governed for years to come. What is sad is that while the urban planning process has now been irreversibly democratised, nobody now wants to own the next DP. NGOs who had organised public consultations with the BMC in 2013-4 to demystify the planning process and input on the draft have since opposed it. When last week the BMC claimed that the few thousand complaints received until then were not enough to justify “dumping” the DP, a few shifted to attack mode, engulfing the BMC with objections to force the CM’s hand. The DP’s “scrapping” is being hailed across the ideological spectrum from political parties to heritage activists, builders to environmentalists. Their political victory is an economic disaster for the city. Until a new DP is drafted, accepted and framed, Greater Mumbai remains governed by DP 1991, a tattered patchwork of rules and policies first conceived more than thirty years ago. It is this policy framework that sustains the city’s famous builder-politician nexus. With no new DP, housing redevelopment across Mumbai – in the lurch for years – will remain stalled, while projects such as the coastal road, Metro 2 and 3 (including the symbolic car shed at Aarey) and opening up NDZs will now be implemented without reference to any wider design and planning considerations. This is a policy vacuum which even the most ardent free-marketeer would abhor, and is no reason to celebrate. Published as “Not Just Bose, Bombay Too” in Mumbai Mirror, Cover Story, Sunday 19 April 2015. Nehru and Patel’s Government not only authorised snooping on the extended family of Subhash Chandra Bose well after Independence, but also many other ex-Indian National Army (INA) veterans, including prominent Mumbaikars who served as Union and State ministers. 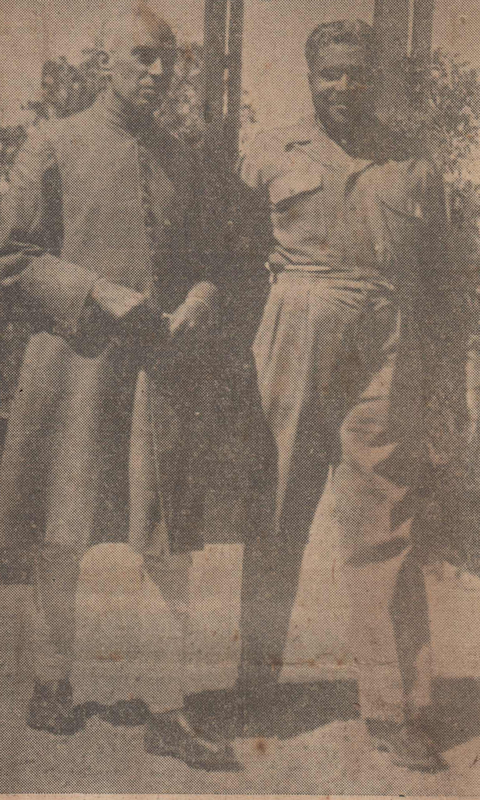 Jagannath Rao K. Bhosale and S.A. Ayer together led the Bombay branch of the Indian National Army (INA) Relief & Enquiry (R&E) Committee established in 1946 at Congress House with Sardar Vallabhai Patel as its chair and patron. 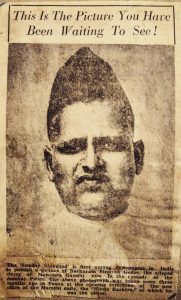 Remembered for his work with displaced Partition refugees and returning WWII veterans – and the road named for him in the sixties at Mantralaya – Bhosale was Netaji’s Chief of Staff in the INA, and served as Deputy Union Minister for Rehabilitation in Nehru’s cabinet from 1952. 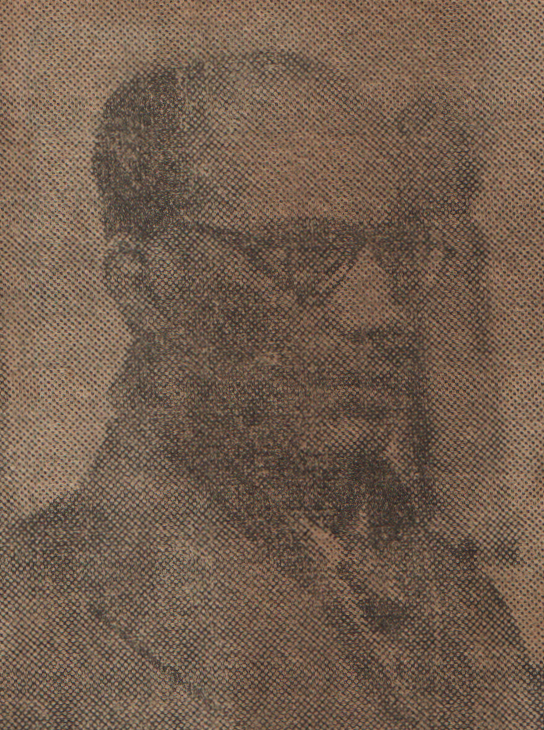 Ayer was the Director of Information of the Government of Bombay from September 1946 until 1951, when he joined the Censor Board. A Bombay journalist since 1918, and the first Indian to head Reuters and Associated Press India, Ayer was a correspondent in Bangkok at the outbreak of WWII. He soon became a close associate of Bose and in October 1943 was appointed as both Propaganda Minister and member of the War Council of Netaji’s Azad Hind Sarkar. After the fall of British Singapore in 1942, almost 50,000 Indians became prisoners of war (POW), and of these around 25,000 had joined the INA – soldiers who served the Azad Hind Fauj or civilians in Azad Hind Sarkar based in the Andamans. By the end of WWII in August 1945, the drop of atomic bombs, Japan’s immediate surrender, and the mysterious death of Subhash Chandra Bose a few days later, his myth had reached its peak just as the Allies (and ex-colonisers) deployed the tired and near-mutinous Indian Army to re-occupy the arc of territory under Mountbatten’s South East Asia Command (SEAC), derisively known as “Save England’s Asian Colonies”. Marathi translation of Not Just Bose, But Bombay Too by Avadhoot. Originally published as the cover story in Mumbai Mirror, Sunday 19 April 2015. नेहरू आणि पटेल यांच्या सरकारने स्वातंत्र्यानंतरही सुभाषचंद्र बोस यांच्या एकत्रित कुटुंबावरती पाळत ठेवायच्याच सूचना केल्या होत्या असे नव्हे, तर आझाद हिंद सेनेमध्ये (इंडियन नॅशनल आर्मी–आयएनए) सामील झालेल्यांपैकी अनेक माजी सैन्याधिकारी व नेत्यांवर पाळत ठेवण्याचे आदेश देण्यात आले होते. केंद्रीय व राज्य पातळीवर मंत्री म्हणून काम केलेल्या काही मान्यवर मुंबईकर व्यक्तिमत्त्वांचाही यात समावेश होता. काँग्रेस भवनामध्ये १९४६ साली स्थापन झालेल्या आझाद हिंद सेना दिलासा व चौकशी समितीच्या (रिलीफ अँड इन्क्वायरी कमिटी) मुंबई शाखेचे नेतृत्त्व जगन्नाथराव के. भोसले आणि एस. ए. अय्यर यांनी केले. सरदार वल्लभभाई पटेल हे या समितीचे अध्यक्ष आणि पुरस्कर्ते होते. फाळणी काळातील निर्वासित आणि दुसऱ्या महायुद्धातून परतलेले सैनिक यांच्यासंबंधी केलेल्या कामासाठी भोसले ओळखले जातात आणि त्यांच्या स्मृती जागवण्यासाठी मंत्रालयाजवळच्या एका रस्त्यालाही त्यांचे नाव देण्यात आले. आझाद हिंद सेनेमध्ये भोसले हे नेताजींचे ‘चीफ ऑफ स्टाफ’ होते आणि १९५२ पासून त्यांनी नेहरूंच्या मंत्रिमंडळात पुनर्वसनाचे केंद्रीय उपमंत्री म्हणून काम पाहिले. अय्यर हे सप्टेंबर १९४६पासून १९५१पर्यंत मुंबई सरकारचे माहिती संचालक होते. त्यानंतर ते सेन्सॉर मंडळाचे सदस्यही झाले. मुंबईत १९१८सालापासून पत्रकारितेत कार्यरत असलेले आणि ‘रॉयटर्स’ व ‘असोसिएट प्रेस इंडिया’ या वृत्तसंस्थांचे पहिले भारतीय अध्यक्ष राहिलेल्या अय्यर यांनी दुसऱ्या महायुद्धाच्या काळात बँकॉकहून युद्धाचे वार्तांकन केले होते. त्याच काळात ते बोस यांचे जवळचे सहकारी बनले आणि ऑक्टोबर १९४३मध्ये नेताजींच्या ‘आझाद हिंद सरकार’चे प्रचार मंत्री व युद्ध मंडळाचे सदस्य म्हणून त्यांची नेमणूक झाली. S.A. Ayer, Propaganda Minister of Bose’s Provisional Govt of Free India, and later Publicity Minister of the Govt of Bombayएस. ए. अय्यर. बोस यांच्या हंगामी आझाद हिंद सरकारमधील प्रचार मंत्री व नंतर मुंबई सरकारमध्ये प्रसिद्धी मंत्री म्हणून काम. ब्रिटिशांच्या सत्तेखालील सिंगापूरचा १९४२मध्ये पाडाव झाल्यानंतर सुमारे ५० हजार भारतीय युद्धकैदी बनले आणि त्यापैकी सुमारे २५ हजार सैनिक आझाद हिंद सेनेमध्ये दाखल झाले होते. त्यातील काहींना आझाद हिंद सेनेत सैनिक म्हणून काम केले तर काहींनी अंदमानस्थित आझाद हिंद सरकारमध्ये नागरी सेवेत योगदान दिले. ऑगस्ट १९४५मध्ये दुसरे महायुद्ध संपत आले असताना अणुबॉम्बच्या हल्ल्यामुळे जपानने तत्काळ शरणागती पत्करली आणि त्यानंतर काही दिवसांनी सुभाषचंद्र बोस यांचा गूढ मृत्यू झाला. त्या दरम्यान थकलेल्या व बंडखोरीच्या उंबरठ्यावर असलेल्या भारतीय सैन्याला मित्र राष्ट्रांनी (व तत्कालीन वसाहतवाद्यांनी) माउंटबॅटनच्या अखत्यारितील आग्नेय आशियाई प्रदेशावर पुन्हा ताबा मिळवण्यासाठी धाडले; या मोहिमेला ‘इंग्लंडच्या आशियाई वसाहती बचाव’ असे अपमानास्पद नाव देण्यात आले. The publication of the proposed Greater Mumbai Development Plan for 2034 over the past month has seen a rare coalition emerge to condemn it, from NGOs and political parties, to celebrities and artistes, and in the past week even the BMC’s own Heritage Conservation Committee. Aggrieved residents and alert activists are seeing dark conspiraces in the details of road alignments, land use reservations, and hikes in FSI (Floor Space Index) across the city. While high FSI has become central to the debate on DP 2034, what matters most for Mumbaikars is how policies like FSI, TDR (Transferable Development Rights) and other Development Control Rules (DCR) can be harnessed to create greater public goods and a better urban environment in the next twenty years. Portrayed from Left to Right as a sell-out to the construction industry, DP 2034 is in fact a paper template, referred to when permissions are sought for development or redevelopment. Together with the DCR, they define the guidelines and recipe book of policies by which land use, building, zoning, amenities and infrastructure are regulated. 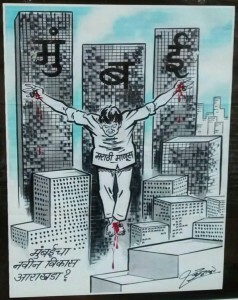 DP 2034 will only be the third for Greater Mumbai. The first DP was proposed in 1964 and sanctioned in 1967 for a decade until 1977. 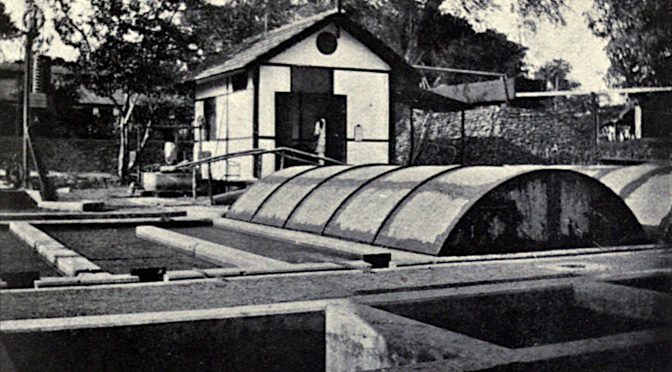 It was a broad land use plan, a response by engineers and planners who were horrified by the Island City’s runaway population growth and industrial concentration, even after the annexation of the suburbs to Greater Bombay in the fifties, and the statehood of Maharashtra in the sixties. Heritage architects have complained for years that the Soviet-style concrete statue next to the Flora Fountain ruins the visual sweep of the Fort’s colonial facades and streetscape. But did you ever wonder what this monument is supposed to commemorate? Fifty years ago this year, the struggle for Samyukta Maharashtra spilled onto the streets of the city formerly known as Bombay. This socialist realist sculpture was later erected as a martyrs’ memorial to Marathi nationalism — the Hutatma Chowk — marking the 105 people who died in protests against Nehru’s plan to make Bombay into a City State after Independence. 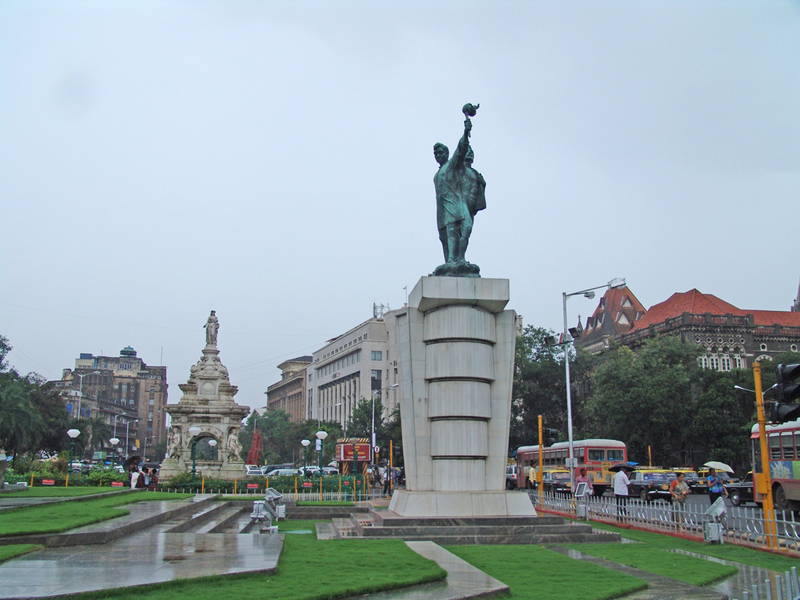 Like with the Shivaji statue opposite the Gateway of India, the statue at Hutatma Chowk was intentionally placed to ruin a view of a famous colonial landmark, and reorient the symbolic geography of the city. The battle for Mumbai heated up when the States Reorganisation Committee report, published in 1955, recommended statehood for Telugus in Andhra Pradesh, in the old princely state of the Nizam of Hyderabad. But the same report proposed the erstwhile Bombay State either be a bi-lingual Marathi-Gujarati unit with Bombay as its capital, or that Bombay be made an Union Territory, separate from the linguistic states of Gujarat and Maharashtra. 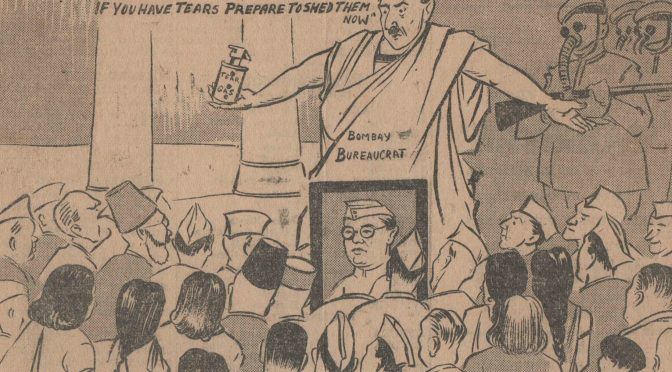 These proposals stirred a popular outcry against the denial of a Marathi state without Bombay, and a coalition of anti-Congress activists and political parties united in the demand for Mumbai to be the capital of a united Maharashtra — from Socialists, Communists and trade unions to the Marathi press, literati and workers across the city. 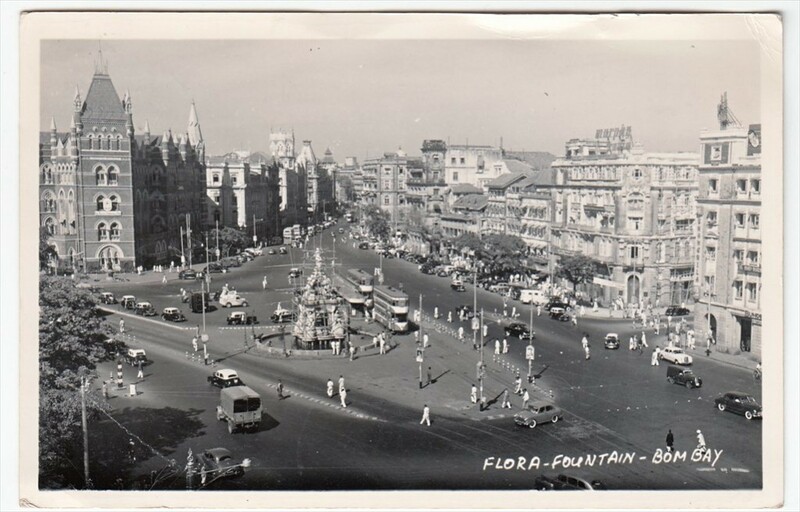 After popular unrest and street violence, the Centre capitulated, and made Mumbai into the capital of the new state of Maharashtra on 1 May 1960. It is no coincidence that Maharashtra Diwas is also May Day, the annual holiday when working-class solidarity is celebrated throughout the world. Samyukta Maharashtra was important because the demand for linguistic statehood was in Mumbai combined with a popular movement against rigid class hierarchies in an industrial city dominated by big business interests. In the years before and after Independence, city politics was a conducted in back-room deals between the Congress Party cronies and fat-cat industrialists — the Parsi, Gujarati and Marwari sheths and sahebs of the popular imagination. It was this corrupt party machinery, identified with S.K. Patil and the party bosses, that was targeted by the Samyukta Maharashtra movement as unrepresentative, and not in keeping with the new order of things in independent India, where common people should participate in governance. While today we identify the official changing of the name of the city from Bombay to Mumbai with the Shiv Sena in 1995, it was a generation earlier, during Samyuka Maharashtra, that “Mumbai” was first extensively used in the public sphere to signify a city different from “Bombay”. For Acharya Atre, S.A. Dange, and Prabodhakar Thackeray (father of Balasaheb) — the leaders of Samyukta Maharashtra — Mumbai was to be a working-class city with better employment opportunities and social justice for all — not just a city that spoke Marathi, favoured sons of the soil, and suspected outsiders of stealing their jobs. Class justice was as important as linguistic unity in the socialist vision of the Samyukta Maharashtra. 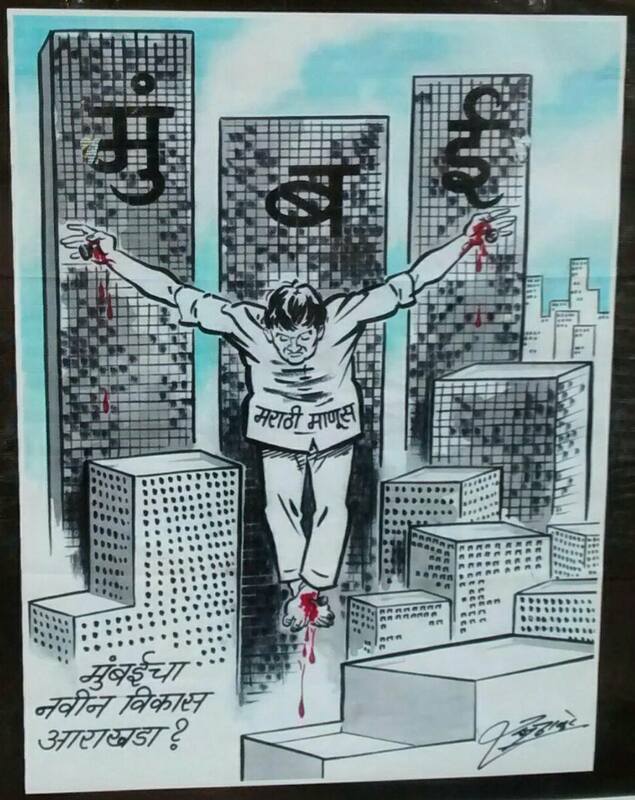 The Shiv Sena was founded in 1966, more than ten years after the Samyukta Maharashtra movement, when the city’s economy stagnated and shrunk, and popular dissatisfaction with the hopes of statehood led to the emergence of more parochial forms of linguistic politics. The collapse of the Bowling Company in Lower Parel after the storm which lashed the city in the past several days perhaps pales in comparison to the larger human tragedies that took place in other parts of the metropolis this week. However, the potential for a tragedy like the landslide which occurred at Azad Nagar in Ghatkopar should not be overlooked. Luckily the entertainment outlet remained closed on Thursday, but had the bowling alleys and the cafe inside been filled to their normal capacity, hundreds of people could have perished, when the rusted stilts and columns which grounded the century-old structure gave way. Sometimes the most ephemeral occasions are draped in the heaviest symbolism. In May of 1996, as the world’s largest exercise in democracy drew to an uncertain and compelling close, India entered a cross-roads in its history as an independent republic. The grand old party of the nationalist struggle, the Indian National Congress, had received its most severe battering yet. Moribund for some years, it had been tactfully fending away threats to its monopoly of power since the death of Rajiv Gandhi in 1989. And the wheezing, corrupt and ideologically bankrupt party had done a valuable parting service to the Indian state in its final term of power under P.V. Narasimha Rao: the socialist economy of Nehru’s years began to be dismantled, the shackles of the ‘steel frame’ had been loosened; India had established itself fairly well internationally after the collapse of the Soviet Union and the uncertain international situation that emerged soon afterwards. The economic liberalisation, the flurry of diplomacy to address new issues of terrorism, nuclear proliferation and the globalisation of trade, all are credits to the Government of Narasimha Rao, perhaps the last ruling Government of a party that has been the institutional reflection of the nationalist legacy for more than a hundred years. Politicians of all hues and their sycophants, journalists and other notable persons gathered in the Durbar Hall of the Presidential Palace in Delhi. Built as a residence for the Viceroys of India by the British, it was meant as a kind of court for the sovereign emperor of India, at that time the representative of the Crown. It was where Jawaharlal Nehru chose to be sworn in as the first Prime Minister of independent India, and where successive prime ministers have been administered the oath of office by the President. On that warm May evening in Delhi, President Shankar Dayal Sharma was flanked by the sashed and turbaned Presidential Guard, another inheritance of the Crown, a special ceremonial regiment of the Indian Army meant as a personal bodyguard to the Viceroy. President Sharma’s decision upon receiving the uncertain results of the parliamentary election to call the largest, but not majority, party, the Bharatiya Janata Party (BJP), to form the Government was a controversial one. Coalition and minority governments are disagreeable to the Indian public, who see them as troublesome and indecisive groups of opportunistic parties. They have never lasted except in times of uncertainty: following the Emergency in 1977, and the assassination of Rajiv Gandhi in 1989. The fear was compounded in this election by the inevitability of the Congress Party’s defeat, which meant that there would be no imaginable alternative to such a coalition as there had been in the past. The BJP had attempted to portray itself as having assumed a mantle of national reach and appeal, as ‘the alternative at the Centre’. But it had fallen short of a majority, just barely; the other parties that filled the House were from a variety of leftist, regional, caste and community groupings that had little if any national pretensions. Nonetheless a minority government was sworn in. The symbolism of the moment, of a new group of ministers coming to swear their oath to the service of the Indian republic was made provocative by the clothing of the new Cabinet of Prime Minister Atal Behari Vajpayee. From the earliest days of the freedom struggle, the symbol of nationalism had been handspun white cloth. The village cotton that Mahatma Gandhi and his followers donned in their protest of colonial economic exploitation, the symbol of resistance had become the politician’s uniform in India. 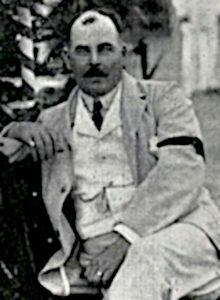 The ‘Gandhi topee’, the simple cap modelled after Gandhi’s prison gear when he was first arrested in civil disobedience, had become the emblem of corruption and abuse of power. As the new ministers of the BJP approached the President to chant the oath of office in Hindi or English, not one was clad in either Gandhi topee or the white handspun. Most were still wearing the coarse cloth, but dyed saffron. Saffron is the traditionally auspicious colour of Hinduism, as ascetics don saffron robes when they take their vow of austerity when retreating into the forest for a life of contemplation. The political perversion of this symbolism was meant to hearken to this traditional idiom, though the ministers were taking a very worldly vow of state office. When people talk of the ‘saffron wave’ in India they mean the collection of groups that support the Hindu extremist movement. In existence for almost as long as the other nationalist organisation, the Congress, they have come to the fore with the movement to demolish the Babri Masjid (Babar’s Mosque) in Ayodhya in north India; with the last election, they have entered the political mainstream. Though the BJP presents the face of a conventional parliamentary party, its tacit affiliation with the groups collectively known as the Sangh Parivar* is acknowledged. It is through their mobilisation and cultural and social activities that the BJP gathers its support, and it was after the demolition of the mosque and the rioting and political chaos that followed that it rose to its current stature as the largest party in the Lok Sabha. To some the saffron wave represents a mortal threat to Indian society and the integrity of the Indian state; an affront to the founding values of secularism and democracy, a vandalism of popular Hindu virtues of tolerance and eclecticism, an attempt to impose a homogenous vision on a community of believers diverse and contradictory in their beliefs and practice. Their direct appeal to traditional symbols and a superficially ‘Indian’ or ‘Hindu’ idiom is noxious to many middle-class Indians obsessed with ideas of modernisation and historical progress. Their arrogance aside, many of these judgements hold true; it is the disgust that one must take issue with, and also one must accept the role of such traditional idioms in a society only slowly becoming aware of the newly endowed constitutional guarantees of independent India. What V.S. Naipaul described as a ‘million mutinies, a million little awakenings’i that have stirred and torn India in its past fifty years of statehood are too often seen as simply destructive phenomena, expressions of frustration. But they are more than that, they are the first rather chaotic and frightening signs of a new awareness that began to convulse the subcontinent as the freedom struggle brought the promise of a modernity to the masses. They are the creation of a new India, the attempts to fashion an uniquely Indian modernity. The first to employ these symbols and manipulate their power for political purposes was the father of modern India, Mahatma Gandhi. 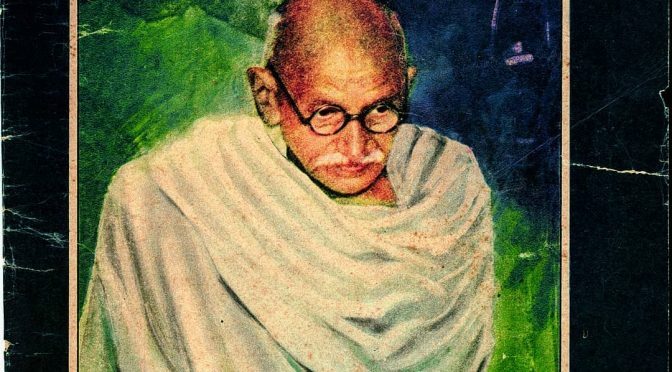 Despite his reservations about the West and his obscurantism, Gandhiji inaugurated the polity on which the Congress wrested the control of the colonial state from the British Empire. Using mass mobilisation on a scale previously unimaginable in a country poor and uneducated to articulate very modern demands, freedom was won and enshrined in the state that Nehru refashioned with his vision of secularism, socialism and democracy. Through an aggressively modernist vision of India, Nehru attempted to decorate India with all the accoutrements of a modern nation-state: an industrial base and national economy, an independent foreign policy, and promotion of a national community vaguely based on the diverse reformist traditions given rise to by the British conquest and colonial encounter. In India today, the moral squalor of public life, the disastrous consequences of a state-sponsored economy, and the bankruptcy of a homogeneous national vision are all obvious. The successes and disturbance occasioned by democracy are also obvious. The legacy of Jawaharlal Nehru’s statesmanship that brought India from freedom to statehood, it is a mixed and ambiguous inheritance, and any criticism of Nehru can never be wholly negative. What Nehru failed to appreciate about India is more owed to the age rather than to any of his own oversights. His enlightened statesmanship and constructive vision have maintained India as a democracy for its entire existence as an independent republic; the battered and abused Constitution he and the other founders wrote still is a rallying point for the polity; and the legitimacy of the state is well writ in the minds of the citizenry, though nowadays perhaps requiring a new articulation. Though the Congress may now be discredited and on the verge of political extinction, its achievements have been enormous and were it not for them, one could not imagine modern India. But the essence of nationalism, the imagined community, has faded. And with it many of the illusions of Nehru’s time have evaporated. The saffron wave has swept into this vacuum with a ferocity that took most of India by surprise; the reactions of horror, shame and dismay following the destruction of the Babri Masjid shattered many of the myths of the nationalist tradition. Reading the newspaper and scholarly accounts of 1992 one detects an apathy and cynicism suddenly stirred by a horrible challenge. And neither the sermons of handspun-clad politicians about secularism, nor the exhaustive discussions of constitutional precepts and historical truths been able to counter what has been demonised as the ‘communal threat’. Certainly it has been reactionary, a horrible act of vandals, but one cannot deny the feat of mobilisation and the seductiveness of the ideology purveyed as the saffron alternative. The Bharatiya Janata Party Government of Prime Minister Vajpayee lasted only thirteen days, reckoning with an imminent defeat in a confidence motion in the first session of Parliament, the Prime Minister chose to resign rather than be humiliated by a vote. It was a dramatic martyrdom watched all over the country on national television delivered by the poet-philosopher Vajpayee, an imposing figure as head of the Opposition for many years, and a master of rhetoric and debate in modern Hindi. The BJP would return, he claimed, and the next time no opportunistic band of country politicians absent of any common ideology would stop them. Upon accepting the invitation of President Shankar Dayal Sharma to form a Government in a Parliament with no clear majority, Prime Minister Atal Behari Vajpayee set about appointing his Cabinet and ministries were constituted accordingly. Vajpayee had been projected as the ‘liberal’ and kind face of what was, admittedly, a party of vandals who had incited the destruction at Ayodhya and were seemingly not averse to using such strategies again. What few observers cared to mention was that communal mobilisation had become a fact of Indian public life; in post-colonial India, only in times of national emergency and economic crisis has the unity of all Indian citizens been invoked by state or society. All the various parties from each end of the political spectrum, excepting perhaps the Communist Party, have at one time or another exploited caste, regional, religious or other affiliations in their bids for power. At times elections in India, from the most local village council to the general election, have been structured around cynical calculations of communal interest and representation, and urgent issues of development and transparency have often been completely ignored. The 1996 general election was little different, but when the BJP assumed power, the climate of opinion took on the air of emergency. The opposition parties criticised the President, who, acting with full constitutional sanction, invited the BJP to make real its electoral mandate. The much-battered slogans of secularism were again invoked, and the BJP was demonised as a communal party hostile to democracy and civil society. As ministries were being formed, the diverse parties and individuals of the opposition commenced negotiations on the formation of a coalition to upset the required motion of confidence. The new Prime Minister took to the airwaves in his first address to the nation to affirm the commitment of the BJP to the secular, pluralistic traditions and structure of Indian society and decry the parties now banding together in an ‘unprincipled coalition’ to overthrow the ‘people’s mandate’. He made a plea to the Muslim and other minority communities that the BJP would dedicate itself to the secular traditions of the Constitutionii, claiming that Ayodhya was never intended to happen, and that it was the fault of the government in not addressing the issue before the festering resentments exploded in the way they did. (Harish Khare, ‘Vajpayee Strikes Moderate Tone’, The Hindu (New Delhi), 20 May 1996). In those heady days of political uncertainty, many of the developments of the past decade were finally being adjusted in the arrangements of power in India. It is a heart-rending tribute to the legacy of Jawaharlal Nehru that they were all carried out in the utmost spirit of constitutional propriety, for it seemed that the structural stability of the Indian state was very much at stake: a party that had violated the unspoken compact of communal neutrality that lay at the heart of the Indian state had ascended to power at the Centre. Throughout the election campaign the BJP had portrayed itself as the first truly viable national alternative to the Congress Party, whose mandate had been eroded with increasing scandals and allegations of high-level mismanagement and corruption; with cynical manipulation of communal feelings to bolster its moribund rule; and with the dismantling of the socialist straitjacket of the past four decades, which had at least charged the state with the improvement of the lot of the impoverished masses. In its aspiration to national prestige and appeal, the BJP had of necessity demoted communal tactics to the bottom of its electoral strategy, and made a decent attempt at respectability — focusing on issues of corruption, equity and social upliftment — which won it the largest number of seats in the House of any single party. However, it could not so easily play down the memories of Ayodhya which were still fresh in the minds of the electorate and which were invoked by the coalition of regional, casteist, and Left parties which came together — with the outside support of the Congress Party which had yet garnered the second largest number of seats — to form what became known as the United Front. It was another great tribute to Nehru that the system would so adjust itself at such an uncertain time under the banner of secularism and assert the necessities of governance in India’s diverse and unwieldy society. When Vajpayee affirmed his Government’s commitment to secularism, he was decried by the cadres of the RSS and VHP as betraying the legacy of the saffron brigade and all that had brought it to its current position. However, when Vajpayee spoke of secularism he did so not in answer to community, but as a necessity of governance. Communal mobilisation and representation of sectional interests had become pervasive throughout the campaign, but upon assuming power the exigencies of administration became very clear. Despite its ideological claim to represent the eighty-five percent majority of those nominally ‘Hindu’, the saffron brigade had garnered less than thirty percent of the vote from those who subscribed to its catholic notions of a monolithic Hindu nation, an idea which is still less a social reality than a perverse dream (though a brilliant strategy of mobilisation). What was more being asserted at this point in the transition of Indian politics was a logical continuity that finds its origins in pre-colonial India: that any state that would seek to upset the structural stability of communal consent could not last long in power. The theme holds true for Aurangzeb, the last Mughal emperor who through his bigotry and intolerance incited the backlash of the Maharatas in defence of Indian tradition; the East India Company, which was dissolved after the Indian Mutiny of 1857 when it provoked the paranoia of its native employees by threatening their customs and ways of life, raising fears that the Company sought to proselytise and convert all of India to Christianity; and the British Empire, in its manipulation of communal passions in order to prolong its rule, which ended amidst the holocaust of Partition. As I write, it seems that in the reign of the “corporate dynasties” (ibid., p.236) of modern India, the Company, the Crown, and the Congress, will be succeeded by the Bharatiya Janata Party, which has stepped into the vacuum at the centre of Indian politics and has already made adjustments to the exigencies of becoming the defining axis of the system, among which has been a quieting of its communal rhetoric. Nonetheless the United Front provided enough of a threat to the nascent saffron Government to prompt Vajpayee to choose martyrdom over humiliation and resign his office before the confidence motion was tabled in Parliament. The affirmation of the structural necessities of Indian statecraft, in the language of Nehruvian nationalism and secularism, brought together diverse parties that President Sharma called to his palace to administer the oath of office. And whereas before the ministers displayed saffron, the new Cabinet of Prime Minister H.D. Deve Gowda was a somewhat rustic lot, among which were some future ministers who knew neither of the official languages of the Indian Union — Hindi or English — very well, and for whom the swearing-in was a little stulted. But the majesty of the Cabinet was precisely in the very coarseness of its members, most of whom hailed from the newly enfranchised classes of post-Independence India, including the Prime Minister, a farmer from Mysore in south India. It was indeed a motley batch of local caste leaders, urban Marxists, a Harvard-educated economist and regional bosses, but one that in its diversity reflected the multiplicity of interests and communal identifications within Indian society. And among their demands contained in their Common Minimum Programme was for a rededicated effort to the upliftment of the backwards countryside, provision of such basic services as clean drinking water, housing, and roads; and an effort towards greater transparency and less corruption. Perhaps most significant was an acknowledgement of the need in India for decentralisation of the administrative machinery commensurate with the economic liberalisation initiated under the previous Congress regime. The calls for regional and linguistic identity and the end to a monolithic conception of Indian state and society were voiced in constitutional terms as a return to ‘true federalism’. Inherent in this demand was a dismissal of the type of homogeneous vision of India and its people and culture that was not only a part of the saffron vision, but of the secular nationalism of the Congress Party. In the plea for federalism was also contained a new notion of community in India, that of the regional identity peripheral to national struggles but which have been the most significant movement of communal mobilisation and awareness in the past fifty years. Politically it was represented in the linguistic states constituted shortly after Independence, whose autonomy had been eroded by a central government bent on preserving the unity of India from numerous external threats and internal disturbance. With the unity of India now well-established fifty years on in the experience of a democratic republic, regional claims for autonomy and federalism could be voiced less threateningly, asserting a multiplicity of community representation within the political domain, and a reconsideration of the imagined community of modernity.